The UK is suspending its ‘golden visa’ scheme as of tomorrow as part of a clampdown on organised crime and money laundering. The move was announced by UK immigration minister Caroline Nokes. The “tier 1 visa” scheme allowed high net worth individuals willing to invest millions in the UK to get on a fast track to settle in the UK. Reforms now being introduced will require applications to provide comprehensive audits of their financial and business interests. A report in The Guardian says that applicants will no longer be able to invest in government bonds as part of the reforms. They must instead invest in active and trading UK companies. This move follows widespread press criticism of the scheme and of security concerns as Russian oligarchs have used the UK residency scheme for suspected money laundering activities. The recent Salisbury poisonings also led to a review of the rights of more than 700 Russians to live in the UK. 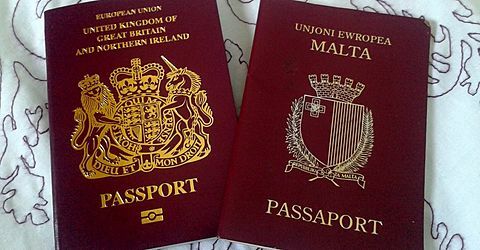 This development will continue to focus international attention on Malta’s passport scheme that is particularly attractive to Russian oligarchs seeking a window to the West. Some 600 Russian business tycoons are believed to have now acquired Maltese citizenship. Some of them have been featured in target lists for sanctions by the United States federal authorities. Malta also considers applicants for Maltese passports to have met the ‘investment’ requirement if the applicant purchases government bonds. The practice is now being abolished in the UK as purchasing government bonds is not considered as a proof of “legitimate and genuine” investment.